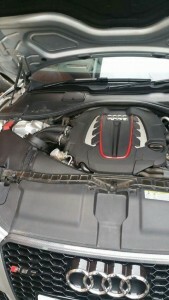 We had a cracking exmaple of an Audi S7 in for a remap the other day, 4.0 V8 tiwn turbo. 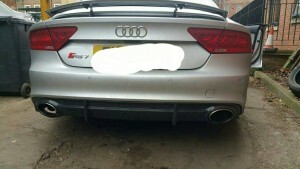 With 420bhp as standard, with a custom remap, we were able to tune to 540bhp, right into RS7 territory. It was another classic case of vehicles been somewhat restricted from the factory. We have admit the VAG do make some lovely sounding engines at present, this one was no exception. With the number of car thefts increasing, especially with 4×4’s, TE can offer a combined deal when you have you car tuned by ourselves, why not also protect it with a Skytag tracking device at the same time.